Marketing extends to so many different areas of life, but one of the most efficient methods around is vehicle advertising. If you have a legion of vehicles at your disposal, our custom fleet wraps can take your brand recognition to impressive new heights. With the help of SpeedPro Imaging The Woodlands and its staff’s knowledge and experience, you can transform those plain cars, trucks and vans into constant reminders of your company’s presence in the Houston metro area and beyond. We operate with the nation’s biggest large format graphics provider, so our expertise is accompanied by top-tier printing technology and materials. 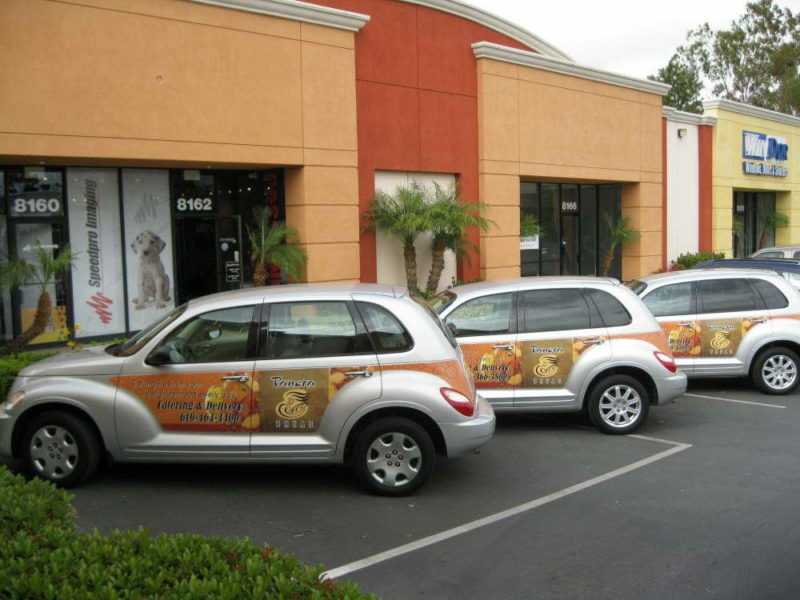 Why Go With Vehicle Fleet Wraps? 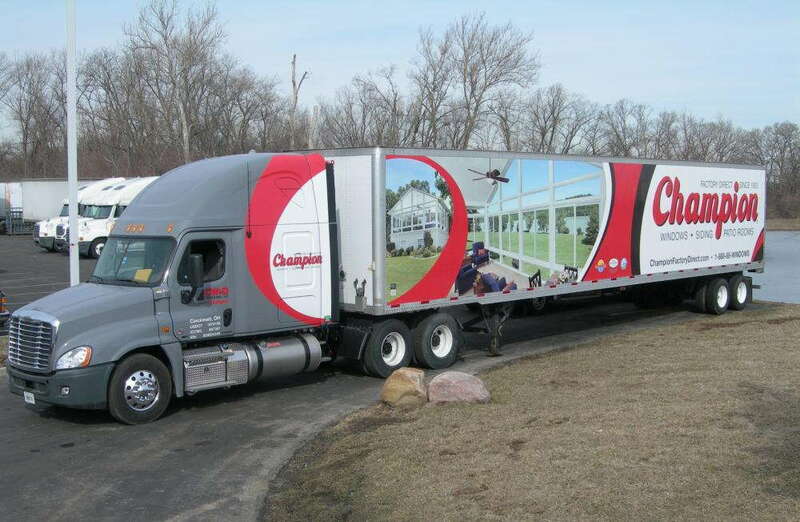 Vehicle fleet wraps have become highly effective in recent years thanks to advancements in technology. A single wrap can generate between 30,000 and 70,000 impressions per day, with the higher range likely in such a heavily populated area. Multiply those numbers by how many vehicles you have wrapped, and your marketing strategy suddenly receives a large-scale, long-term boon. People won’t just check in on your new graphics — they’ll also keep them in mind. About 97 percent of drivers say they’re more likely to remember products and services they saw through vehicle advertising, and 27 percent say they make purchases based on those graphics. We’ll use our unique insight to provide you with solutions that leave you totally satisfied! No job is beyond our scope, as we’ll collaborate with you and come up with a plan to handle any number of vehicles. The most basic choice you have to begin with is deciding between full vehicle wraps and partial wraps, each of which affords its own set of qualities. No matter what you decide on, your wraps will be printed using industry-leading materials and long-life, UV-resistant inks. These practices help ensure vibrancy for a long period. We’ll even keep up with the wraps’ maintenance, fixing any dings or imperfections. We can also use our predictive software to provide you with a preview before printing. It contains multiple vehicle templates, so your rendering will show exactly how the design will appear in real life. You can then provide feedback, and we can adjust and correct any potential issues. Completing the entire job on your preferred timeline is important to us, so we’ll keep in constant communication with you to plan out the installation of each wrap. With us as your marketing partner, your custom fleet wraps will be completed with the precision and detail you envision. Reach out to us today to schedule your consultation! If you’d like to visit our studio, remember that it’s located at the intersection of Pitkin Road and Woodline Drive, just off Interstate 45, at the Rayford/Sawdust exit. ON POINT! What more can you ask for! SpeedPro is the best. They always deliver on time and have the best customer service. Manny is constantly helping me take my ideas and creating the most thought provoking and sales effective brochures, banners, and cards. I always love the responsiveness and promptness of SpeedPro. The quality is top notch! The customer service of Manny Velazquez. Takes care of what we ask in an expedient and friendly manner. I love the quality. Thank you for the great job!